What Happened: The marine committee of Newport Beach’s Chamber of Commerce held a brief informational meeting covering boat bottom paints at Marina Park on Aug. 2. Capt. David Beek of Island Marine Fuel hosted the informational session and led a discussion with Pettit Paint’s Harvey Wills. Most of the discussion focused on copper thresholds, the types of bottom paints used by local boaters and frequency of cleaning. Restrictions on copper level – and the bottom paints that work for any given boat – largely depends upon marina location and water temperature. 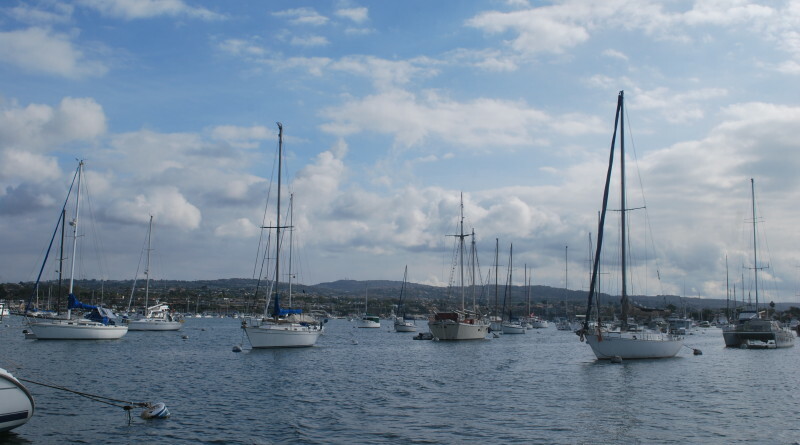 Wills said the water temperature and copper levels is different in San Diego Bay than it is in Newport Harbor, which differs from Marina del Rey, for example. Accordingly different measures should be in place at each harbor or marina to account for its respective water temperature and copper levels. He added Washington State is moving toward eliminating copper bottom paints altogether by 2018. In Newport Harbor most pleasure craft use a modified epoxy as bottom paint, according to Wills. Modified epoxy is made up of 53 to 65 percent copper, which contributes metallic levels below the Department of Pesticide Regulation mandate. Wills added bottom paint maintenance would differ from boat to boat depending upon the user and how frequently he or she navigates the waterways. Some boats do not need to be cleaned every three months, he said. Other boat bottom paints need to be cleaned on an as needed basis. Several city officials attended the meeting, including Newport Beach Council member Ed Selich and Harbor Commission members Paul Blank, William Kinney and Joe Stapleton. What’s On Tap: The Chamber of Commerce could be hosting another boat bottom paint workshop in the very near future. Information will be provided once a date is announced. What Happened: The Ventura County Board of Supervisors adopted a resolution on Aug. 2 to acknowledge receipt of and agreement to California Coastal Commission’s modifications of Channel Islands Public Works Plan for Casa Sirena Hotel. Ventura County hopes the redevelopment of Casa Sirena Hotel as a newly branded lodging destination would spur larger waterfront revitalization plans at Channel Islands Harbor in Oxnard. The Coastal Commission approved technical changes to the county’s plan at its July 14 meeting. If plans were ultimately approved then Casa Sirena would be replaced with a new branded hotel. Casa Sirena was built in 1972 but ultimately fell into disrepair and was shut down in 2009; the dilapidated building has been unoccupied ever since. What’s On Tap: Ventura County’s resolution and acceptance allows the Coastal Commission’s amendments to the Casa Sirena Public Works Plan to be finalized and other elements of the project’s bureaucratic process move forward.